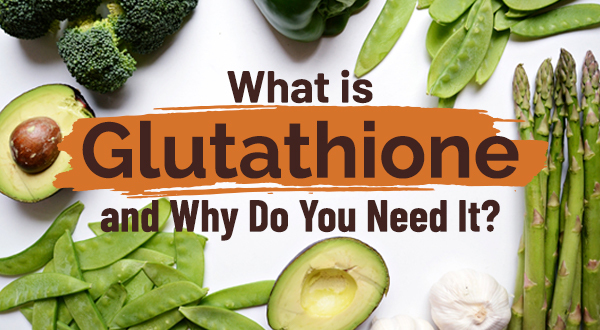 What is Glutathione and Why Do You Need it? 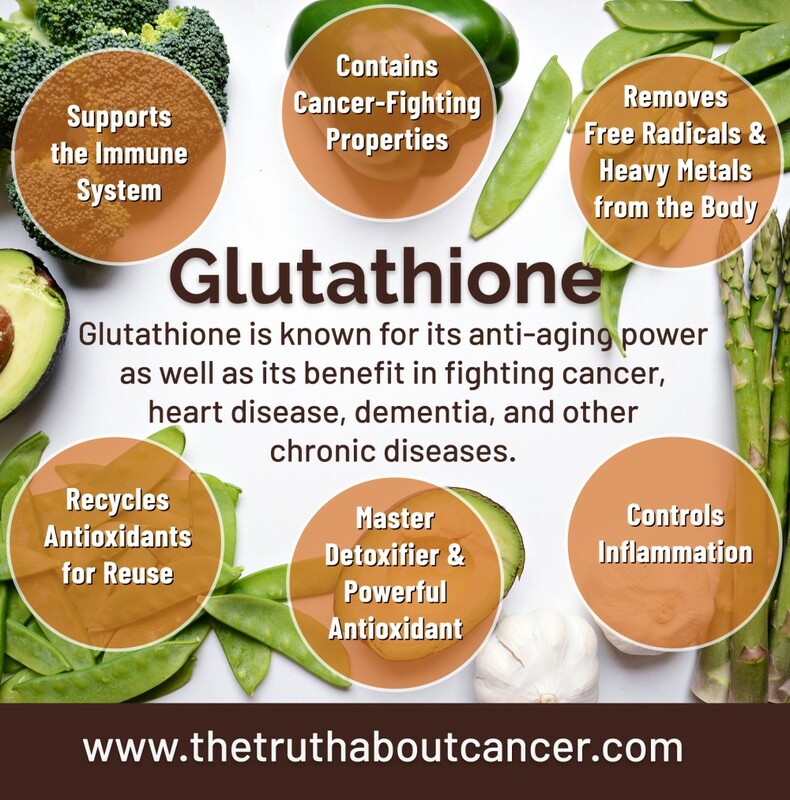 You are here: Home / Cancer Prevention / What is Glutathione and Why Do You Need it? Editor’s note: This post was originally published in August 2016. It has been updated and republished in February 2019. What is glutathione? It may be the most important molecule you need to stay healthy and prevent disease. It’s known for its anti-aging power as well as its benefit in fighting cancer, heart disease, dementia, and other chronic diseases. It’s also important for treating everything from autism and Alzheimer’s disease and more. What is Glutathione and What Does it Do? Glutathione is a combination of three simple building blocks of protein or amino acids − cysteine, glycine, and glutamine − and is produced naturally in the body. It is called the master antioxidant because it can regenerate itself in the liver after each “fill-up” of free radicals and go back to work. Free radicals are often the byproduct of normal cellular metabolic oxidation and toxic overload. They can lead to autoimmune diseases, several types of cancer, and even heart attacks. Keeping yourself healthy, boosting your performance, preventing disease, and aging well all depend on keeping glutathione levels high. It is critical for immune function and controlling inflammation. It is the master detoxifier and the body’s main antioxidant, protecting our cells and making our energy metabolism run well. Research has shown that raised glutathione levels decrease muscle damage, reduce recovery time, increase strength and endurance, and shift metabolism from fat production to muscle development. Glutathione is critical in helping the body’s first line of defense against disease and illness – the immune system − do its job of fighting infections. It further supports the immune system in preventing cancer and other illnesses. Studies have also shown that glutathione can help in the treatment of AIDS. Studies have also shown that glutathione can be effective in treating fatty liver disease, both alcoholic and nonalcoholic. It’s especially effective for people who make healthy lifestyle changes. Glutathione is essential for maintaining healthy cellular mitochondria. Damaged or malfunctioning cellular mitochondria are part of the cancer process. This occurs when exposure to toxins and unhealthy cellular terrain combine to trigger a cellular defensive response. 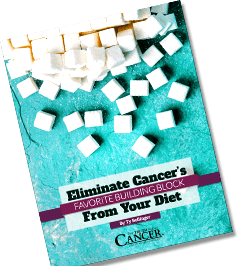 During this process healthy cells become cancer cells by reverting to a primitive form of respiration that uses glucose (sugar) instead of oxygen for respiration. They then refuse to die and keep multiplying. The secret of the power of glutathione may be the sulfur chemical groups it contains. Sulfur is a sticky, smelly molecule which helps eliminate all the bad things in the body. Its stickiness allows it to capture damaging free radicals and toxins like mercury and other heavy metals. Dr. Mark Hyman calls glutathione the “mother of all antioxidants” and says that he has found glutathione deficiency to be common in virtually all seriously ill patients he has treated. This includes people with chronic fatigue syndrome, heart disease, cancer, chronic infections, autoimmune disease, diabetes, autism, Alzheimer’s disease, Parkinson’s disease, arthritis, asthma, kidney problems, liver disease, and more. The body forms glutathione naturally, but production decreases as we age. Toxins also decrease healthy glutathione levels. If you are sick, feeling old, or just not in peak shape, you likely have a glutathione deficiency. The esteemed British medical journal, The Lancet, found the highest glutathione levels in healthy young people, lower levels in healthy elderly, lower still in sick elderly, and the lowest of all in the hospitalized elderly. Normally, glutathione is recycled in the body − except when the toxic load becomes too great. When glutathione becomes depleted it can no longer protect against free radicals, infections, or cancer, and we can’t get rid of toxins. This leads to further sickness and soon we are in the downward spiral of chronic illness. Glutathione becomes inactive when it becomes saturated from doing its work of collecting free radicals, but it tends to regenerate itself in a healthy liver. Under ideal conditions, 10% of the glutathione remains inactive (or oxidized), while the other 90% is active. As the active glutathione (also known as GSH), drops below 90% and allows the inactive to increase beyond 10%, the struggle for optimum health begins to become a losing battle. When toxins build up, the GSH diminishes even more. When GSH falls below 70%, the immune system becomes critically compromised. Certain foods contain precursors to help the liver produce more glutathione. These include sulfur-rich foods such as garlic, onions, and cruciferous vegetables (i.e. broccoli, kale, collards, cabbage, cauliflower, watercress), premium bioactive whey products, and colostrum. You can also increase glutathione by increasing your vitamin C intake or adding milk thistle or turmeric to your diet. The reason for using precursors to boost your liver’s ability to create healthy glutathione levels is that supplemental glutathione has issues with getting through the gastrointestinal (GI) tract intact without being degraded. Exercise boosts glutathione levels and helps boost your immune system, improve detoxification, and enhance your body’s own antioxidant defenses. Start slow and build up to 30 minutes a day of vigorous aerobic exercise like walking or jogging, or play various sports. Strength training for 20 minutes, three times a week is also helpful. A good all-around organic, whole-food derived nutritional supplement. N-acetyl-cysteine (NAC) has been used for many years to help boost glutathione. Time release NAC is the best option for keeping levels high throughout the day. Methylation nutrients, including folate, vitamin B6, and vitamin B12 are critical to keep the body producing and recycling glutathione. Selenium helps the body recycle and produce more glutathione. Milk thistle (silymarin) helps increase glutathione levels and is famed for its ability to cleanse, protect, and regenerate the liver. It is also worth noting that alpha-lipoic acid is a close second to glutathione in terms of importance for our cells. It is involved in energy production, blood sugar control, brain health, and detoxification. Over 2 million people have joined the fight to eradicate cancer once and for all. Find real solutions and learn the TRUTH about cancer. Glutathione is produced in the body and is a combination of three simple building blocks of protein or amino acids: cysteine, glycine, and glutamine. It is called “the master antioxidant” because it can regenerate itself in the liver (after each fill-up of free radicals) and go back to work. Glutathione is critical in helping the immune system do its job of fighting infections, and preventing cancer and other diseases. Production of glutathione decreases as we age. Toxins also decrease healthy glutathione levels. The highest glutathione levels are in healthy young people, lower levels in healthy elderly, lower still in sick elderly, and the lowest of all in the hospitalized elderly. Certain foods help the liver produce more glutathione. These include sulfur-rich foods such as garlic, onions, and cruciferous vegetables, premium bioactive whey products, and colostrum. [Glutathione in the treatment of chronic fatty liver diseases]. Is Facebook the Next Company to Censor Freedom? I am thinking of changing my diet and trying food from the Nutrition shop and the Health Foods store, to see if it would make any difference to my health. Juicing fruits, vegetables, herbs, and spices are excellent, but I do not have a juicer and a juicer might cost a lot of money. Getting sick and going to the doc all the time costs way more invest in a vita mix ! Raw organic foods as much as possible! I don’t which supplements you use to boost your glutathione levels but I have found Riboceine from Max International very useful. Raising Glutathione is always the issue. You can’t take it and raise it, and while all the precursors are important, none of them is the rate limiting factor. That’s why RiboCeine is so effective. It allows you to get the rate limiting component to the cells intact. It’s a revolutionary medical technology. I love to help others get the benefits of what I’ve gotten the last 9 and 1/2 years! Here’s my cell: 907-888-9437. How would your life be different if you had more energy, less pain, better focus and clarity, better sleep…? Through my natural doctor I take Trizomal Glutathione ( a liquid) from Apex Energetics. I take Glutathione Recycler (also from Apex) along with that to help with the absorption of the glutathione. It has all the ingredients listed in the article. I am glad to see my doctor knows her stuff! We have added a whole food supplement to our family’s diet recently and have noticed benefits already! Easier than juicing and more economical with all the benefits of fruits and veggies in capsule form or chews. Safe, effective and simple. 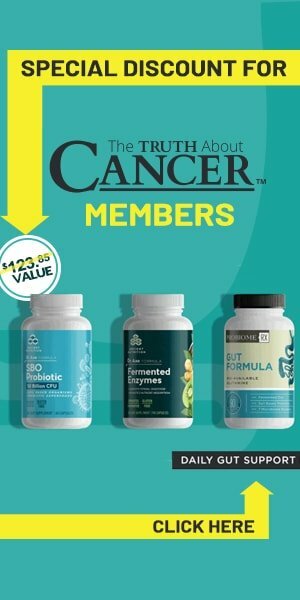 Everything we have learned from Truth About Cancer including Prevention and how to keep our immune system strong, is so valuable and making fruits and vegetables a priority stacks the deck in our favour and helps us down the Healthy Highway. Get a used champion juicer. That’s what Dr. Schulze recommends for cancer and all ailments. It is cheap and efficient enough to do the job. Waiting to afford a Nowrwalk (like I have) could cost you time and health too. Get started. Good luck! 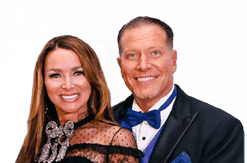 Doctor Richard Schultz (herbdoc.com) has a great Superfood too…been taking it and his intestinal formula for 22 years…i am 72 and feeling good..I do need to improve so am glad for these articles. Silvia – have you had any luck with finding a cheaper juicer, or changing your diet anyway. 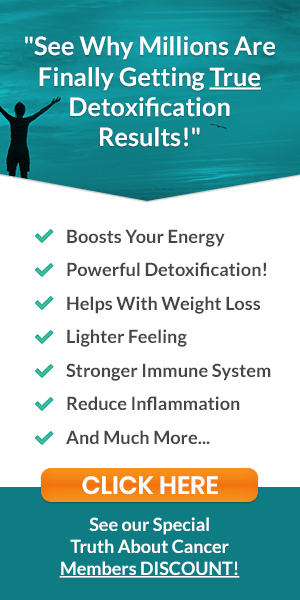 Another option would be to get a spirulina powder (or a powder containing it) as these often contain veggies as well as the spirulina, a natural seawater algae which is amazingly benefcial for our health Maybe you have heard of it. You can get it at a health food store, and I also see it on Amazon for a very small percentage of the cost of a juicer. It may not be as efficient as a juicer, but it’s pretty good. HOpe this helps. Faye, I am not planning to do it now. It is later on, once my father is not alive. Since my father wants meat and fish dishes, I want to have the same food too. I do not really want to order any of those natural products through the Internet, because there are too many scams. I saw juicers in Canadian Tire where I live in Ottawa, Canada, they are too expensive. I do not want to order a juicer from the Internet as a result of scams. I might one day try a natural seawater algae and wheatgrass juice once only to see what they are like. Silvia – not all internet ordering is a scam, I ordered myself an Omega 8006 juicer and it’s the best appliance I have in our house, I use it almost every morning making 2 cups of carrot,beet,apple,ginger,pineapple, and celery juice. After searching almost every company that sell juicers all across Canada, I settled on ordering from in Calgary. I’m in Manitoba so ordering from Alberta you only pay GST and no PST. I found that juicer for about $20 cheaper in Quebec so I asked at Myric if they would match the other price and they did with no problems. I have been using a Nutri Bullet now for about 3 or 4 years. I absolutely love this product. Btw Silivia it is a small world, I also live in Ottawa, Canada. FAYE i hope succeed with your on/off excuses,not all products come from the internet try steaming you vegetables,fish and try a good vitamin supplyment to help.Try alpha liponic acid.All the advice here is true,no need to put it off,because dad needs it too. Silvia, Go to Goodwill or the Salvation Army stores. You can get a good juicer there for 20 or 30 dollars. Bite the bullet Silvia and get a masticating juicer. We have a Slo Star and really like it. They all are a pain to clean but once you do it a few times it gets easier. Easy on the fruits and heavy on the greens. One apple and a whole lemon is all we use for fruit and lots of greens and veggies. Asparagus juices well along with celery, carrots and the carrot tops, ginger (start small), beets and the leaves, parsley, kale, chard, spinach and a ton more. We only use cucumbers in the summer and minimally. Have fun with it. Visionary has one for $99. Works great for me. Thank you so much for this valueable article. I appreciate the comprehensiveness of your coverage all the way to how we can help our bodies boost it’s own natural production!! God Bless You! Where can you buy these Glutathione patches? Leo, if you email us wellnessplus@adam.com.au we can send you more details on the patches and directions for obtaining the patches. They are now available in over 100 countries, many with local delivery, are accepted by the medical authorities in all these countries including FDA in US and are extensively clinically studied to prove their effectiveness – so well worth the effort to find out more. There are many great ways of raising Glutathione levels as Tony mentions. We support the use the patches because of their effectiveness and also because there is NOTHING being ingested or induced into the body as with most traditional treatments; so safe and easy for anyone to use even if already on medication or other supplements. These patches would be Lifewave Patches (I presume), listed as a Class 1 medical tool. These patches are amazing. Coffee enemas are perhaps the largest simulator of the liver’s production of glutithione estranferase. Coffee enemas are an important part of many top natural cancer treatments, also because they trigger the liver to detox the whole body via the bloodstream, get rid of the toxic breakdown of cancer cells AND KILL PAIN. Too cheap and to simple to discuss, or just too weird? I too was surprised that this article didn’t mention coffee enemas, as they are supposed to raise your body’s own Glutathione levels by 600 to 700%! I do them twice a week and feel much better as a result. Plus, I am currently doing a heavy metal detox and their recommendation is to NOT take Glutathione in pill/patch form as it could make the detox process WORSE! Who is right? What kind of coffee do you use ? Yes I was also wondering why this article doesn’t mention coffee ememas. They are known to increase Glutathione in your body by up to 700% and are part of the Gerson therapy for healing cancer. They are easy to do and can be done very safely at home, much safer then an IV. The article talked about herein is good but can’t really be considered very helpful for one simple reason. No one is actually talking about a particular curative explanation i.e step by step including dosage, duration,efficacy, probable short term side effects or possibility of a recurrence of this apparently dreadful disease cancer. Lets engage on proven specifics. That will be the biggest leap in eliminating the scourge. Wish readers a healthy lifestyle. Kind regards. I am feeling overwhelmed with, yet another supp. to take. I recently had a breast cancer tumor removed. I am already popping 12 plus pills a day, along with the evil Letrozole. I am beginning to feel defeated, confused and more stressed. I know, Linda how you feel and they are all very expensive and the cost adds up with each one. Tha’s why I liked the article about the foods which help promote. It’s hard to get the supplements through the digestive system to absorb so the patches sound good, but once again the cost. AND Rob didn’t tell us where to get them… are they still in Clinical trials? This is very important info. though. NEVER GIVE UP! and don’t let the stress get you! God Bless! So is it worth it to get these Glutathione patches? And if so where do you get them? Contact us at wellmessplus@adam.com.au for further information. 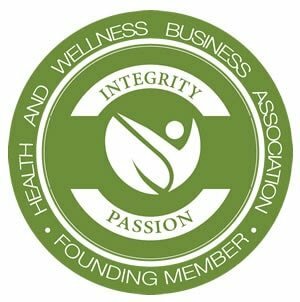 And Yes, Glutathione produced naturally by the body itself when wearing the patches will reach EVERY cell in the body and at a higher level than any other known method..
Alison Hilton, If you contact us at wellnessplus@adam.com.au we can provide links to extensive clinical studies on the patches. Thank you very much for the valuable information included. I will pass this information to others interested. Using the patches would only be of benefit while detoxing. It also depends where on you body you use them. If you feel horrid at some point … take a day off the patches. You MUST drink LOTS of water when using especially the Gluathione and Carnosine ( If you dont, expect a headache) ! Who ever you purchased the patches from should be educating you..?  There will be educational videos on the Lifewave site. And documents too. You can use the patches around the clock, but best not to use Glutathione and Carnosine together ( at the same time) – plus its a waste of time. quence. Ingesting Glutathione gives you very little Glutathione – and its gone in 24 hrs! It sounds like it would be very effective for patients with liver failure, any thoughts? If a person has IBS, they shouldn’t eat cauliflower, cabbage or broccoli. What do you suggest then? Glutathione has proven to be the mother of all antioxidants time and time again. Immunocal is the best nutraceutical you can buy because it helps your body naturally produce its own doses without introducing anything new to your body. Find out more in my website. And increases your body’s glutathione levels. I have been using this MAX riboceine product myself for about a year after treatment for cancer and I feel better than I have in years!! The Ribose sugar molecule is not anything like sucrose. Ribose is the backbone of your DNA, RNA and cellular energy. You already have trillions and trillions of these molecules in your body. It has nothing to do with blood sugar. My cell: 907-888-9437. Raising my glutathione over the last 9+ years has revolutionized my life. I’m back to backpacking, have more natural energy daily, less joint pain, razor sharp mental focus, and have restorative, restful sleep! And, my cells are aging more slowly! Who doesn’t want that! D-Ribose is not simply a sugar, it is a special sugar that is directly involved in energy production at the cellular level called ATP (adenosine triphosphate) or pure energy. As far as Ribose combinations, I combine Ribose with Niacin as it forms a precursor to another huge energy co-enzyme in our body called NAD & NADH. NADH supplements are great and readily available but somewhat expensive. This combo is also already synthesized in supplement form called Nicotinamide riboside and is also kinda pricey. Anyway, peak energy levels are as important as peak antioxidant levels in cancer prevention or treatment as they both insure peak oxygen levels. And as a side note, a slightly alkaline body ph level is necessary for all this biochemistry to happen. Wow! 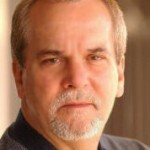 Very informative blog about glutathione. Thanks for this. You forgot to mention eggs, meat and lever, which are extremely high in sulfur. But of course we are not allowed to talk about animal products, as we should all only consume plants. Scientists and medical doctors have known for decades that glutathione, which is produced by the body itself, is the primary protector and detoxifier of the cell. However, under oxidative stress conditions, the glutathione levels become depleted. Also, from near the age of forty, the body’s ability to produce glutathione decreases gradually, then more rapidly at older age. For years, medical scientists have looked for ways to effectively raise the levels of glutathione. At one time, N-acetylcysteine (NAC) was the only supplement available to enhance the body’s supply of cysteine to enable the production of glutathione. However, Dr. Herbert T. Nagasawa was able to develop a revolutionary molecule known as RiboCeine that effectively delivers cysteine to the cell to support the natural production of glutathione–for which Max International was awarded a U.S. Patent.RiboCeine is a unique molecule that combines ribose and cysteine, nutrients that occur naturally in our bodies. RiboCeine once ingested will be absorbed, enters the bloodstream and delivers cysteine and ribose to the cells, supporting glutathione production as well as providing ribose, an integral part of ATP, our cells’ natural fuel and source of energy. RiboCeine significantly outperformed other means of glutathione enhancement against which it has been tested. It has been the subject of twenty- two scientific studies funded by the National Institutes of Health or other scientific funding agencies and published in peer-reviewed journals. I earnestly thank the writer of this wonderful, truthful, immensely helpful and educative free write up! The importance of glutathione in enhancing general health and wellbeing in human beings can’t be overemphasized. I also know and have seen the marvelous and effective action of Cellgivity, a supplement that enables the body to naturally produce glutathione in other to heal several diseases such as diabetes, high blood pressure, fatigue, etc. My cousin had complications resulting from diabetes, numbness of her legs and within a week of taking Cellgivity, she has been healed since then. Sylvia, I suggest you try it as it’s highly effective. Thank you so much for letting us know. We’re so happy to hear this! Blessings and love to you and your family! I am using glutathione, structured silver, and zeolite in an atomizer for legionella pneumonia and possible lung tumor. All the pain and symptoms of the pneumonia are gone. To my surprise 40 years of asthma and steroid use is diminishing as well. I am very surprised at my progress. All three supplements are in liquid form and I am doing the atomizer 3 times a day. Thank you all for the wealth of information. One antioxidant supplement not mentioned in this article and which I have found to be a very important GSH precursor is Melatonin. 3-12 mg nightly will do the trick. Very useful write-up. The best product for raising Glutathione levels is Cellgevity fro Max International. Excellent!! !